The daughter of ceramicist Betty Woodman and abstract painter George Woodman, Francesca Woodman was raised in a family preoccupied by art and its creation. Francesca began taking pictures when she was about 13, using herself as a model when necessary. On family vacations to Florence, Italy, Francesca showed great interest in classic paintings of women in formal dress. 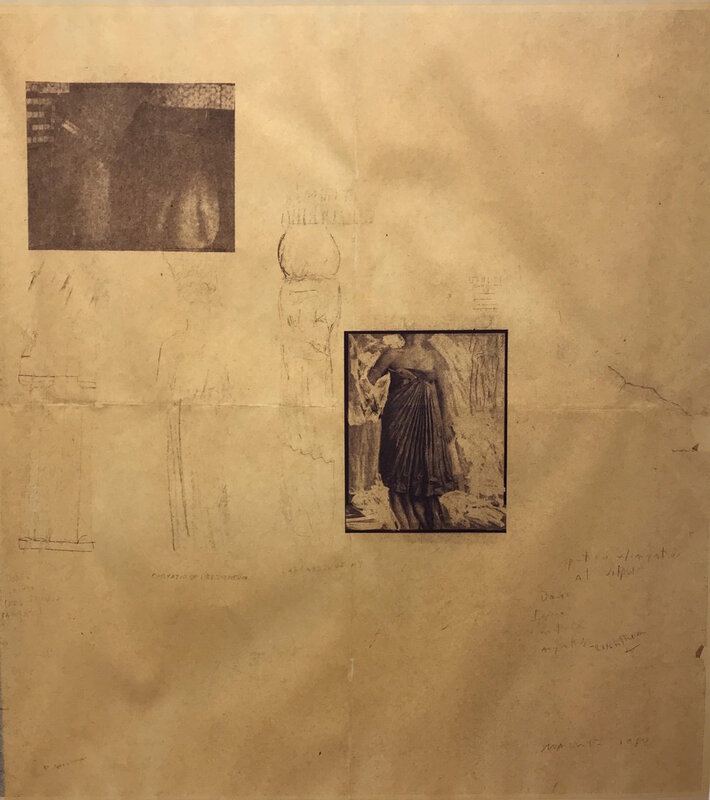 She sketched these women in her journals alongside her thoughts ideas, a practice she continued throughout her studies at the Rhode Island School of Design. As a photography major at RISD, Woodman worked in an off-campus studio using chairs, furs, vintage clothing, and mirrors as her props. The resultant photographs, most of them black-and-white, are dramatic and ethereal. When Woodman is the subject, her face and figure are often obscured or blurred by motion. Studying in Italy during her junior year and moving to New York City after graduation, Woodman worked hard to support herself as an artist. In 1980, Woodman endured a severe depression and moved in with her parents after surviving a suicide attempt. In January 1981, she jumped off a building in New York City and ended her life. For some critics and collectors, Woodman’s 1981 suicide offers a mode for critique of her work; many family and friends, on the other hand, insist that Woodman’s photography does not predict her death and should not be the lens through which it is considered.